How did that happen? You’re angry and anxious, especially since you know that you’re attempting to buy in a seller’s market. After the housing collapse of several years ago, it might seem strange to see buyers without the upper hand, but with less inventory currently on the market, it’s not unusual for sellers to receive upwards of 15-20 offers on a home. 1.) DON’T UNDERESTIMATE EXPERIENCE—You wouldn’t go to court with an inexperienced, novice attorney, so why would you bet your financial livelihood on an inexperienced real estate agent? When it comes to navigating a multiple offer situation, hiring the services of a seasoned Realtor—who is not only familiar with the process, but has a track record of successful closings—is one of the most important steps you can take. 2.) GET PREAPPROVAL—Generally speaking, each offer will undoubtedly be accompanied by a prequalification letter from a lender; however, you can appear to be the strongest buyer by entering negotiations with a loan preapproval letter. 3.) PUT YOUR BEST OFFER FORWARD—Instead of expecting negotiation, write your best offer and make it attractive. In an effort to determine pricing, a solid Realtor will be able to give you a comparative market analysis, which is important since many sellers intentionally set low prices in an effort to generate multiple offers. Just because you’re paying above their asking price, doesn’t necessarily mean you’re paying more than the market value. 4.) UNCOVER WHAT’S IMPORTANT—All sellers have certain wants that will help land you in their good graces. Whether it’s a fast closing or a longer than normal escrow period, ask your Realtor to find out what those hot buttons are and work hard to make them a reality. 5.) DON’T GET HUNG UP ON CONTINGENCIES—While it’s essential to get a home inspection before you close on a property, there’s nothing wrong with tightening the time period a bit. When it comes to contingencies, you have the power to speed things along, so if your loan is solid, don’t be afraid to waive the loan approval contingency. 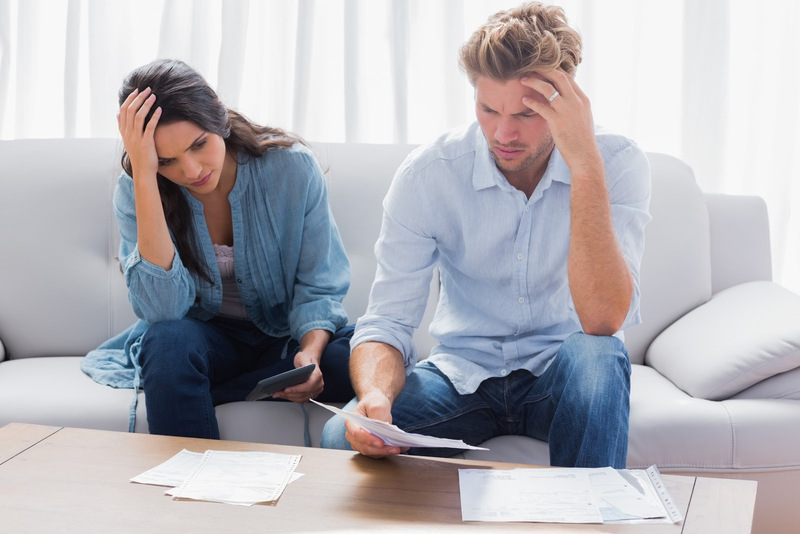 In the end, multiple offer situations can be challenging, especially if you’ve found yourself on the losing end of a similar circumstance in the past. To make yourself the best possible candidate, straighten your affairs and hire a practiced Realtor who can walk you through the steps. To learn more or to see how I can help you, please feel free to contact me. I’d love to hear from you. Greenwich Park is a luxurious, gated community located in Johns Creek. Just 30 miles outside of Atlanta and 20 miles from Lake Lanier, this area offers residents numerous amenities and recreational opportunities, including the Atlanta Athletic Club and the Country Club of the South. With homes built by the respected builders, Traton Homes, these estates will have stunning architectural exterior and interior design, including four sides of exterior detail, elegant yet functional features and 3 car-side entry garages. Gourmet kitchens will be garnished with stainless steel appliances and granite countertop; hardwood flooring will spread throughout the homes and each owner’s suite will be equipped with a luxurious bath and walk in closet. Johns Creek is a diverse community that is proud of its impeccable public safety, various national park services and exceptional public schools. In fact, the children of Greenwich Park will attend the finest public schools in Georgia, including State Bridge Crossing Elementary, Autrey Mill Middle and Johns Creek High Schools. With easy access to I85, I285, 141 and GA400, Johns Creek offers its residents the perfect balance between rural and city life. Johns Creek national park services include the Chattahoochee River, National Recreation Area, Autry Mill Nature Preserve and Heritage Center and the Johns Creek Art Center. Music lovers will also take note of the 45-acre Encore Park, which includes the 12,000 seat Verizon Wireless Amphitheatre, the summer home of the Atlanta Symphony Orchestra and venue for top musical acts. Each of the 21 Greenwich estate homes rest on 1/3 acre to 3/4 acre lots, and prices are in the $800,000’s. For more information about this fabulous community, please contact me. 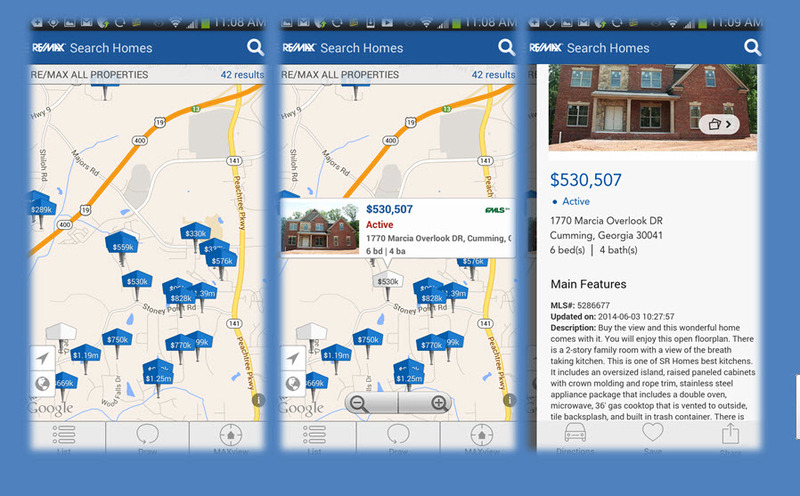 The New RE/MAX App Is Here! Now you can search for homes just like Realtors do, using MLS. If you are in the market for a home, or just curious as to what homes in your area are selling for or what features they have, simply text DINSMORETEAM to 678-929-2100 to receive this powerful, free tool. Download and enjoy it free of charge on your mobile phone or iPad. Instantly search by your current location, city, zip code, or draw your own search area on the map. Search by type of home desired, price, square footage, year built, # beds/baths, and much more! View all photos of the home saved to MLS. Quickly zoom and navigate neighborhoods with interactive “balloon view” maps. Generate turn-by-turn driving directions from your current location to properties that interest you. Easily share properties for sale with friends and family. 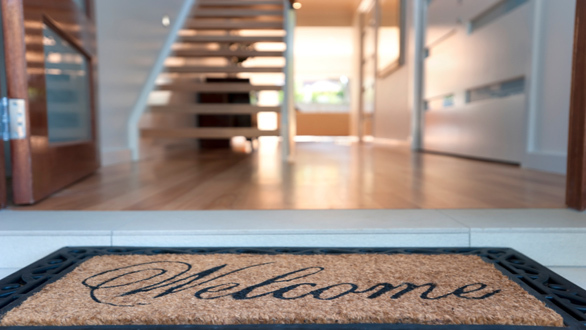 Even With A Newly Built Home, You Still Need A Buyer’s Agent. With the accessibility of today’s housing via the internet, many home shoppers may feel that they don’t need a buyer’s agent to help them find their dream property. And for newly built homes, while you can do a lot of the legwork yourself, in the end you won’t be saving either money or time. In today’s market, most new homes are being built by national builders who employ salaried agents to sell their properties who don’t always have your best interest in their heart. Generally, the first thing a seller’s agent will want to know about you is whether or not you have representation – if you don’t, the commission that they would normally have to split with your agent will go directly into their pocket. With this, a selling agent is obviously interested in getting you to pay top-dollar for their property; however, a buyer’s agent will help counteract this by taking note of other similar sales in the area and making sure you aren’t paying too much. In essence, your buyer’s agent is there to buffer you and negotiate on your behalf so that by the time you close, your house has not only been properly inspected, but has also been placed in perfect condition. Similarly, when it comes to financing, a good agent will help you walk through the process of finding a solid mortgage company who can give you options which fit your lifestyle. While the agent employed by the builder may also come ready with financing through a partnered company, it’s important to remember that they may not be looking to help you find the best solutions. In short, when entering into a real estate transaction, it’s important to have someone in your corner who will make sure that you are taken care of throughout the entire process. The Dinsmore Team can help you find the right mortgage lender, closing attorney and help you find your perfect home. Another very good article from Mary Thompson, Certified Appraiser, with Lanier Appraisal Service. 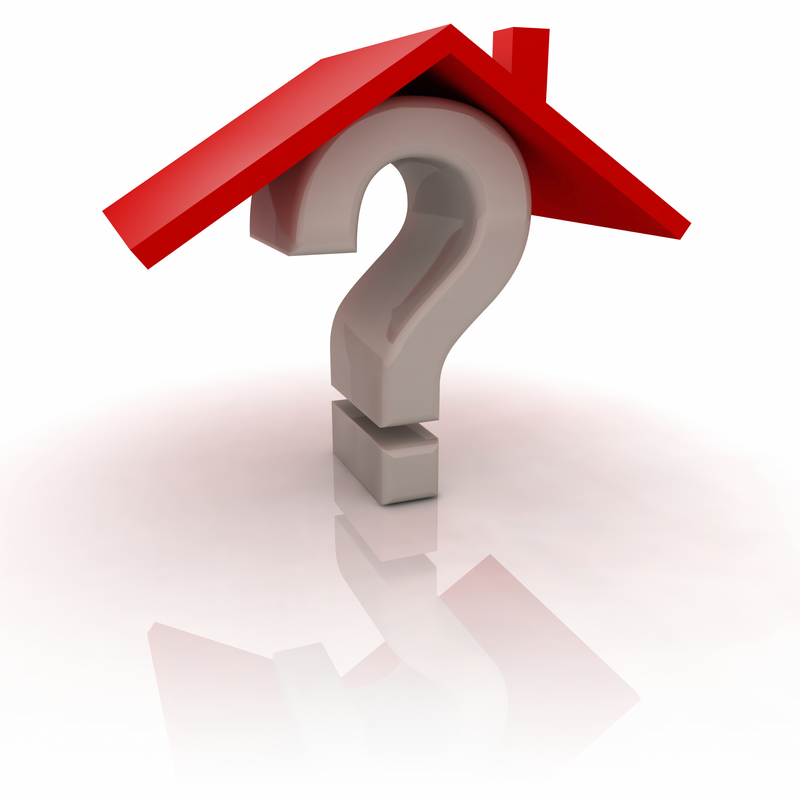 It’s important to know the facts regarding the appraisal process when valuing a home. Although your personal loan approval may be accomplished early in the loan process, the final loan commitment usually hinges on a satisfactory appraisal. An experienced Realtor will be able to advise if you are listing your home too high for the market even before the final appraisal. Having the right team on your side will help you get your home sold faster, and at the best market-price possible. 2014 Lake Lanier Tax Assessments are out and your homeowners may need a Certified Appraisal for their Appeal. If so, call Lanier Appraisal Service ASAP. We are getting booked up quickly for Tax Appeal Appraisals as the DEADLINE is June 30th!